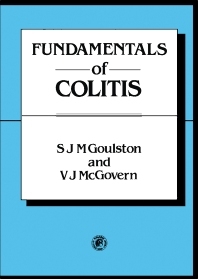 Fundamentals of Colitis covers the basic facts of several forms of colitis and the correlation between the clinical manifestations and the underlying pathological changes. This book is composed of eight chapters that specifically consider the infective forms of colitis, since these disorders can mimic other more serious disorders, both inflammatory and neoplastic. Each chapter discusses the clinical features, diagnosis, blood culture, antibodies, sigmoidoscopy, rectal biopsy, and treatment of specific form of colitis. The opening chapter focuses on colitis of infective origin, including Salmonella, Campylobacter, tuberculous, necrotizing, amoebic, and schistosome colitis. The remaining chapters examine colitis of non-infective origin, such as ulcerative, pseudomembranous, ischemic, radiation, carcinoma, and non-specific colitis, as well as Crohn's disease. This book is of value to doctors, clinicians, and researchers.